Bescot Healthcare Canada is proud to be the Canadian distributor of this product. "... ReSkin is perfect. I had a lot of irritation problems during the summer, and since I've been using ReSkin the irritation is gone. I always use it ..."
can be damaged by friction. Wear rigid work boots or new or "fashionable" shoes. ReSkin has been specifically designed to help relieve this stress and friction and prevent blistering. Created for everyday use, it acts as a second skin, relieving friction. It is virtually pain-free to remove from the skin, and it's washable - allowing it to be used more than once! ReSkin is a re-usable bandage based on a medical coating. ReSkin is a Lycra® weave material with a soft silicone gel adhesive coated onto one side. These two elements give ReSkin its unique benefits of reducing friction, pain-free removal and re-usability. The bi-elasticity of the product (two-directional stretch) creates relief from rubbing by transferring it. Friction now takes place between the ReSkin and the other materials rather than on the skin. 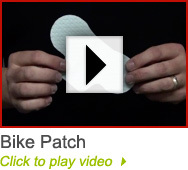 It therefore acts like an artificial layer of skin. Copyright 2009 ReSkin. All Rights Reserved.